I'd like to take this opportunity to thank you for visiting the Rattler/Firebird Web Site. I attended my very first Rattler/Firebird reunion in St. Louis, 2002. I had had virtually no contact with anyone from our unit since returning from Vietnam. That reunion was a wonderful experience. I'm just sorry that I waited so long to attend one. Following the reunion, I sent Ron Seabolt a short note thanking him for all the hard work he has done over the years. At that time, the old Rattler/Firebird web site was out of service. When I wrote to Ron, I told him that I had some experience with web sites and asked if there was anything I could do to help get the site going again. Little did I realize then what I had volunteered for. Following my note to Ron, a number of discussions ensued. It was decided that the best way to get things going again might be to start from scratch. I threw together a quick "proposal" of what I had in mind and the next thing I knew, we were moving full steam ahead with the new site. I'd certainly be remiss if I failed to acknowledge the hard work of the late Charley Sparks, who ran the old site. Charley devoted a lot of time and effort into keeping the Rattler/Firebird presence on the web. He was also very helpful in getting the old rattlers.org domain forwarded to the new rattler-firebird.org site, as well as making the old content available. Without Charley's valuable assistance, this project would have been much more difficult. In its present state, the web site is comprised of more than 15,000 individual files, including nearly 1,100 pages and 14,000 graphic images, plus a few sound and video files and some scripts that run on the server to deliver some of the dynamic content. I hope you like what we've done so far. Though a lot has been done and a lot of content has been made available, we're not done yet! We're still adding new things all the time. If you think you've seen it all, you're probably wrong. Even if you're right, come back tomorrow. There will probably be something new. 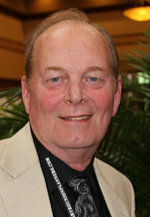 I'd like to also thank Ron Seabolt for his constant help as the project developed. Ron's assistance as a proofreader has been wonderful. I can tell you that any errors here are mine and all the good things you see here are a direct result of Ron's work. Ron helped by sending me photos, merchandise, old newsletters, and tapes. I know that those of you who are active in the association already know how hard Ron works to give us all something we can be proud of, but I want everyone to know that he's done the same thing here. As long as I'm using this space to thank people, I'd like to express my thanks to all those who have contributed the content. 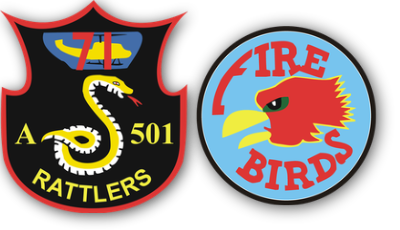 The domain name, rattler-firebird.org, belongs to the association. I serve as webmaster to put the content into an accessible format. However, the web site belongs to you, our former unit members. Without you, there would be no web site, nor would there be a need for one. If you have something you would be willing to share, please take a moment to contact me. I'm always on the look out for new content for the site. We can use stories, pictures, audio, video and even ideas for new content. If you have any ideas about what you'd like to see here let me know about that too. This is your web site. Let us know what you want. If you read this far, thanks for reading my rather long winded thoughts.